While each of these commitments work together to support the operation, they also each have specific and empirical objectives that are required as they are carried out. This guide explores each commitment to see not only how they fit into the big picture, but also how they are best utilized. Losing a customer due to inferior service comes at a substantial cost. Customer service begins the moment the customer makes the decision to interact with the company. Great logistics managers recognize the value that customers bring to the table and maintain a continuous push for better customer service. Areas where customer service can fail and customers can be lost include returns, backorders, and company cancellations. By increasing supply-chain efficiency, the logistics manager can ensure that customers are served quickly and efficiently. This may require some adjustments in policy, particularly when it comes to returns. Reverse logistics for customer returns can be convoluted by numerous steps that may be unnecessary or outdated. Aside from the fact that customer returns often bear a rather substantial cost, the faster the transaction can be completed, the more likely the company is to retain the customer. Many companies do not initiate a refund until the product has been received from the customer, so efficiency and speed are key in these situations. By maintaining a good relationship with the carrier, the logistics manager establishes trust to address problems and a positive environment that is conducive to working out problems. They are hands on and involved in the process at every point. 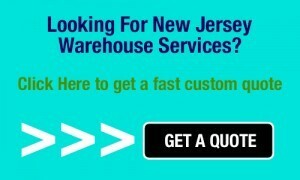 Efficiency from a logistics standpoint typically begins at the warehouse. Of course other factors can also be manipulated to increase efficiency: reduction of overhead, development of transportation rates that are more cost effective, and decrease in overall cost of processing each order. Great logistics managers will see the benefit in establishing a relationship with their carrier, allowing them to share opportunities, issues, and best practices. Transportation should be a priority, built into the warehouse layout and process. Arranging operations to increase customer service naturally boosts efficiency. Some adjustments may include establishing a customer friendly policy that allows for pulling orders in the afternoon or evening, having the capability of locating shipments by carrier, and other outbound and inbound conveyance issues that can be altered to ease the flow of production to a more customer-centered culture. It may seem that outbound and inbound logistics and transportation are unrelated to sales, but that simply is not true. Time is a great sales tool, and when freight is delivered on time and is in stock when it is expected this transfers as a strong selling point. In any sales-related situation, the source of merchandise must be reliable and available or both sales and customers could be lost. Merchandise that is delivered undamaged is also a sales booster. Customer dissatisfaction can occur at any point in the logistics supply chain. If the merchandise does not make it to the store or shipper on time, then the customer does not receive their purchase when they expected it. When the customer’s expectations are not met, they are more likely to change their mind on the purchase completely and initiate a return. This translates to lost sales as well as the increased cost burden of a return. 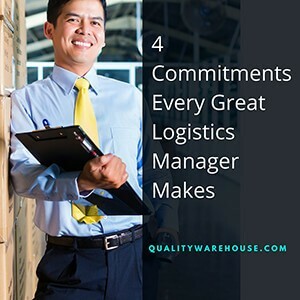 The great logistics manager is constantly working on these areas to improve the operation and make the process a little easier for all parties involved from employees to shipper to customers.